Adventures! I just love them. What else do I love? Books. Check out my favorites from this year (read not necessarily published). Clicking on any of the links below will bring you to my review (not all of them have been reviewed). "'I see resistant staph all the time,' says nurse practitioner Maggie G."
Gonorrhea. Bed bugs. Weeds. Salamanders. People. All are evolving, some surprisingly rapidly, in response to our chemical age. 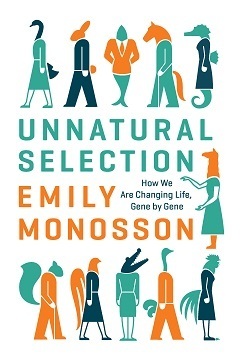 In Unnatural Selection, Emily Monosson shows how our drugs, pesticides, and pollution are exerting intense selection pressure on all manner of species. And we humans might not like the result. Monosson reveals that the very code of life is more fluid than once imagined. When our powerful chemicals put the pressure on to evolve or die, beneficial traits can sweep rapidly through a population. Species with explosive population growth—the bugs, bacteria, and weeds—tend to thrive, while bigger, slower-to-reproduce creatures, like ourselves, are more likely to succumb. Monosson explores contemporary evolution in all its guises. She examines the species that we are actively trying to beat back, from agricultural pests to life-threatening bacteria, and those that are collateral damage—creatures struggling to adapt to a polluted world. Monosson also presents cutting-edge science on gene expression, showing how environmental stressors are leaving their mark on plants, animals, and possibly humans for generations to come. Unnatural Selection is eye-opening and more than a little disquieting. But it also suggests how we might lessen our impact: manage pests without creating super bugs; protect individuals from disease without inviting epidemics; and benefit from technology without threatening the health of our children. Have you ever thought about evolution and what the human race will evolve to next? I do all the time. I even have this theory that “the spectrum” is the next step in our evolution. What we might think is a hindrance for autistic and Asperger syndrome might actually be an advancement in thinking. Think about it, evolution goes slowly right? Plus it’ll learn from its mistakes. What if we are in the beginning stages and down the line our brain capacity will increase without the social disabilities attached to the syndromes? However, I am digressing and this book mentions nothing about that, it’s just a theory I’ve hashed around. Even though the book doesn’t discuss much of where humans are evolving to, you will learn the evolution of things around us (and scare you to death). The book does a good job setting us up with a little history of antibiotics, mainly because the points lead to the future of bacteria and the human resistance to potential super-bugs. If the mention of super-bugs doesn’t make you shake, this book will be a cake walk to read. However, if you are ready to hunker down in a fallout shelter, you might want to tread carefully with this information. A great quote from the book that sums up the fear I felt, “We beat life back with our drugs, pesticides, and pollutants, but life responds. It evolves.” Doesn’t that almost seem like a tag line for a horror movie? See, Scary! Why does the author focus on bacteria to discuss evolution? “The first step is understanding how our choices impact life’s evolutionary course. And so we begin close to home, with an impending public health disaster: antibiotic resistance.” It’s easier to see and understand, we can draw a timeline of how things are evolving because germs, bugs and bacteria evolve faster due to the size and population growth. Humans and animals reproduce more slowly, therefore they will evolve slow, for example, “we won’t see the evolution of tusk-free African elephants in heavily hunted populations or containment-resistant polar bears”. I could probably go on and on about this because I have another two pages of notes and highlights but I need to save some of this for you. I’m pretty sure you should read this. The Author has a purpose for this book, “Rather than risk heading off into a near future filled with “superbugs”, we can change how we interact with pests and pathogens, reduce the pressure, and still maintain some degree of control.” I’m hoping the awareness spreads and the Author accomplishes this because this terrifies me. I’m not saying you “have” to read this but I “want” you to read this. P.S. - I was graciously given this digital book from Netgalley and the Publishers to read and give my thoughts. Thank you! Time is flying by, I can't believe the Holidays are almost here! I wanted to share with you a few books I've read but haven't gotten around to formally reviewing. I did have thoughts and comments written down, as well as a numbered rating. These two books are similar in theme, being humorous memoirs from internet famous gals. One of them I'm in love with and the other one I hardly knew existed. 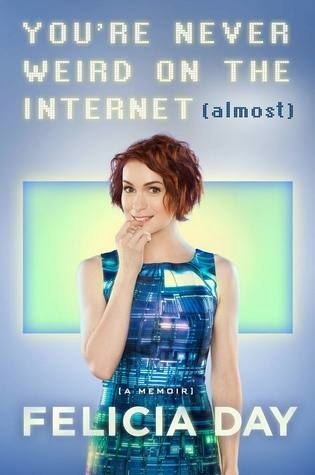 For those of you who don't know Felicia Day - where have you been hiding? She's ALL over the internet with her badass self. Jenny Lawson, she is famous as the bloggess, check her blog out if you haven't heard of her. Funny at times. She definitely has a "style" which can get repetitive, but her stories have 'ring true' moments which I enjoyed. I'm not sure I'd be running out for the next book, but I give her mad props for diving into writing a book about pretty much anything. I audio-booked both of these and I would suggest this format, mainly because the Authors narrate and can deliver the humor better than a voice actor (in my opinion). If these two books were to battle it out, Felicia Day would win my vote. What do you think? "In 1987, Tom Kalinske was at a crossroads." Following the success of The Accidental Billionaires and Moneyball comes Console Wars--a mesmerizing, behind-the-scenes business thriller that chronicles how Sega, a small, scrappy gaming company led by an unlikely visionary and a team of rebels, took on the juggernaut Nintendo and revolutionized the video game industry. 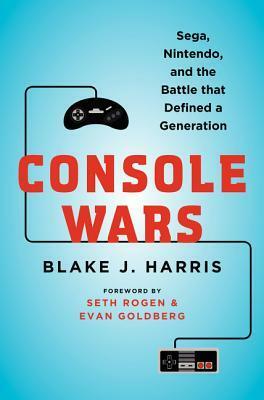 Based on over two hundred interviews with former Sega and Nintendo employees, Console Wars is the underdog tale of how Kalinske miraculously turned an industry punchline into a market leader. It's the story of how a humble family man, with an extraordinary imagination and a gift for turning problems into competitive advantages, inspired a team of underdogs to slay a giant and, as a result, birth a $60 billion dollar industry. Okay, I know that a lot of people are talking this book down because it's written very casually, but I loved it. C'mon, it's a book about video games! It is supposed to be fun, not dry. I appreciate that the author took some liberties and tried to make the stories more entertaining by sometimes dreaming up conversations. Sure, sometimes the "witty banter" got a little old, but overall, Harris made the book a ton of fun to read. And considering it is a book about business at its heart, I'm impressed by what he was able to do! When I was a little pre-teen, I used to go over one of my best friends ever's house after school (hi, Marsha!) and we'd play Sonic the Hedgehog. This book brought a bunch of nostalgia for the early '90s along with it, which I think was part of the point and certainly part of the draw. The reader got thrown full-force back into the feel of the time, and I was especially struck by memories of certain commercials and ad campaigns that I had forgotten all about, but recalled with fondness. There isn't much I can say about this book specifically, but I really did like its (largely) fun take on the gaming industry, the competition between Nintendo and Sega, and the story of a console company's rise and fall. I would recommend it to anyone who feels pangs of nostalgia for the 1980s and enjoys their historical fiction written in a novel-type format. 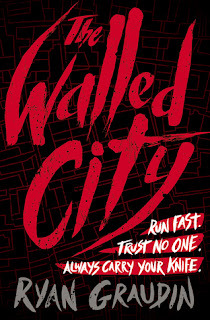 "The are three rules of survival in the Walled City: Run fast. Trust no one. Always carry your knife. " 730. That's how many days I've been trapped. 18. That's how many days I have left to find a way out. Wow - this book was nothing like I was expecting! I think I was anticipating a dystopian future novel, which this often had the feel of - but it was steeped in so much reality (and modernization combined with lack of progress - it's so difficult to explain!) that it was even better because of its strange connections to real life. At first I couldn't place the story in any time period, which actually worked well - but despite much of a traditional Chinese feel, the reader could occasionally see glimpses of cars and electronics which indicated that the time period was more contemporary than the setting usually let on. 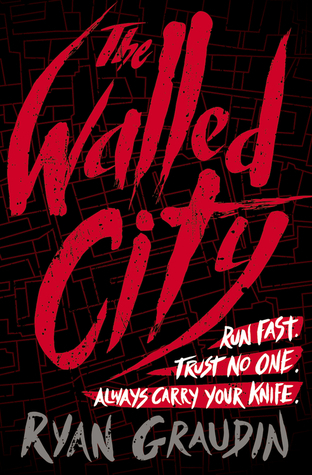 The story is told from the point of view of three young adults trapped inside the Walled City - which Graudin fictionalized, but which was actually a very real part of Hong Kong for years. Dai, Jin Ling, and Mei Yee are all trapped in different places and in different ways, and the reader gets to watch as their lives all come together at towards suspenseful tipping point. The book is full of the seedy underside of a city - a side which the bigger city largely tries to ignore and keep repressed within its confining walls. The reader travels through brothels and opium dens, noodle houses and trash-filled alleys, following the adventures of the three protagonists - adventures which twist and turn as much as the narrow streets of Hak Nam. I picked this book up when I knew I'd be alone most of Halloween weekend, needing a good diversion, and I found I couldn't put it down! NB: I was lucky to receive this book both as an ebook ARC from Netgalley and win a physical copy (signed by the author, even!) 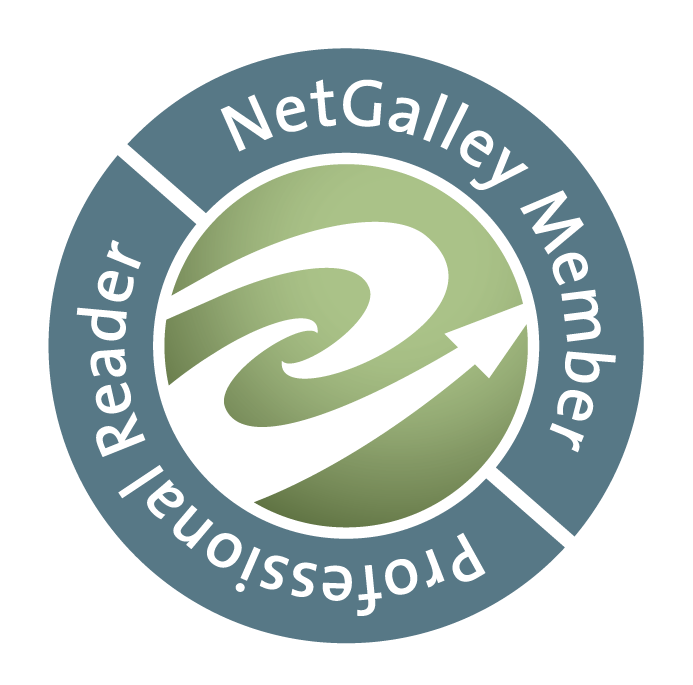 from the Goodreads First Reads program. Thank you to the publisher and suppliers all! "The little room was so hot that Leila tried not to move insider her clothing." 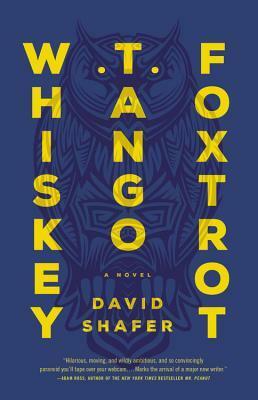 Three young adults grapple with the usual thirty-something problems--boredom, authenticity, an omnipotent online oligarchy--in David Shafer's darkly comic debut novel. The Committee, an international cabal of industrialists and media barons, is on the verge of privatizing all information. Dear Diary, an idealistic online Underground, stands in the way of that takeover, using radical politics, classic spycraft, and technology that makes Big Data look like dial-up. Into this secret battle stumbles an unlikely trio: Leila Majnoun, a disillusioned non-profit worker; Leo Crane, an unhinged trustafarian; and Mark Deveraux, a phony self-betterment guru who works for the Committee. Leo and Mark were best friends in college, but early adulthood has set them on diverging paths. Growing increasingly disdainful of Mark's platitudes, Leo publishes a withering takedown of his ideas online. But the Committee is reading--and erasing--Leo's words. On the other side of the world, Leila's discoveries about the Committee's far-reaching ambitions threaten to ruin those who are closest to her. In the spirit of William Gibson and Chuck Palahniuk,Whiskey Tango Foxtrot is both a suspenseful global thriller and an emotionally truthful novel about the struggle to change the world in- and outside your head. 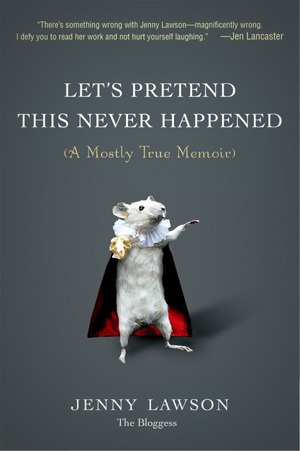 Well, I started and restarted this book a bunch of times, for various reasons. Not because it wasn't good or engaging, just because other things got in the way and I kept having to put it down. (I have a note that I started reading this 10/21/14 - just over a year ago!) But, I am glad I finally stuck through to the end - it was definitely a smart and entertaining romp. The characters were all quite memorable, and I do like how the author starts off with them in entirely disparate settings, only to pull them together through circumstances as the story unfolds. I also enjoyed seeing the characters ultimately redeem themselves, even though most of them started off seeming hopeless. The reader first meets Leila, an idealistic but frustrated NGO worker trying to deliver a Western public health program to Myanmar. Then we get Leo, inheritor of a board game fortune who seems to be squandering his life because his ideals are too big for the world he lives in. Lastly, there is Mark, a Harvard graduate who is certainly squandering his life by coasting on the success of a self help book he sort of wrote. The three seem rather at sea, each in their own ways. That is, until Leila stumbles across something suspicious in the middle of nowhere, and sets everything in motion. The book's global conspiracy was deliciously close-to-home, with the SineCo conglomerate being what I figure was a thinly-veiled version of Google. While they explicitly said they didn't identify as anarchists, the underground group fighting back against worldwide corporate takeover was right up my alley. And while the specifics of everything were left a bit fuzzy, it did seem that the takeover was a real future possibility - terrifying to contemplate. This techno-thriller feel - along with the characters I actually wanted to see succeed - is what kept me picking up the book. Initially, I did not like the open-ended ending (oxymoron? ), but I do appreciate why Shafer left things the way he did - it would be almost impossible to write the subsequent story, and it felt kind of like Children of Men, where the reader/watcher is left open to whatever possibility. It could be good, it could be bad - but that's not really the heart of the story. The story is the story, and it's worth the read. P.S. I was lucky to receive this as an ARC way back when, from Netgalley. Glad I finally did get around to it!